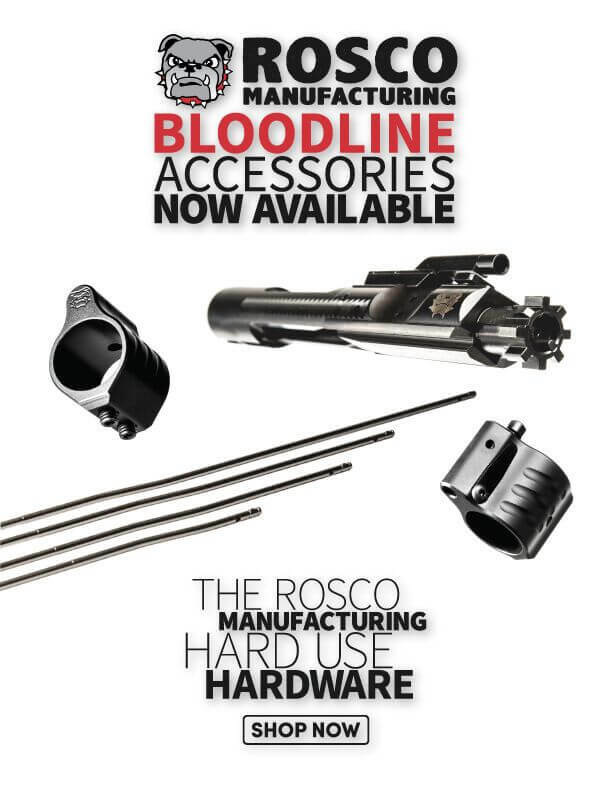 Rosco Manufacturing® is proud to release their new Bloodline Accessories. June 27th, 2018: Rosco Manufacturing; a proud manufacturer of quality American made gun barrels is proud to announce that they will be extending their list of available products further into the AR15 platform. Rosco will now be offering their own line of Bolt & Carrier Groups (5.56/300 BLK, 6.8 SPC/224 Valkyrie, and 9mm), Gas Blocks (Adjustable & Non-Adjustable), Gas Tubes (all popular sizes), and Matched Bolts (5.56/300 BLK, 6.8 SPC/224 Valkyrie). Rosco Manufacturing’s “Bloodline” series is our hardest working category. Whether you are an occasional builder, tactical shooter, or Law Enforcement Officer we have a product that will fit your needs. All our Bloodline accessories are designed to take the abuse from unconventional wear and tear that our customer may need to inflict on their platforms. This is the only way that we can make sure that we are producing a product that will perform time after time under the most austere of conditions.